that are not far from the center of town. Several are listed on our free map. Hikers are advised to bring layers of clothing to be prepared by the unpredictable and rapidly changing Aleutian weather. It is also highly recommended that hikers tell someone their plans and when they expect to return. ​Aleutian Adventures, the tourism company of the the Aleutian Pribilof Island Community Development Association, offers a variety of adventurous and educational mountain, shoreline and wildlife tours. 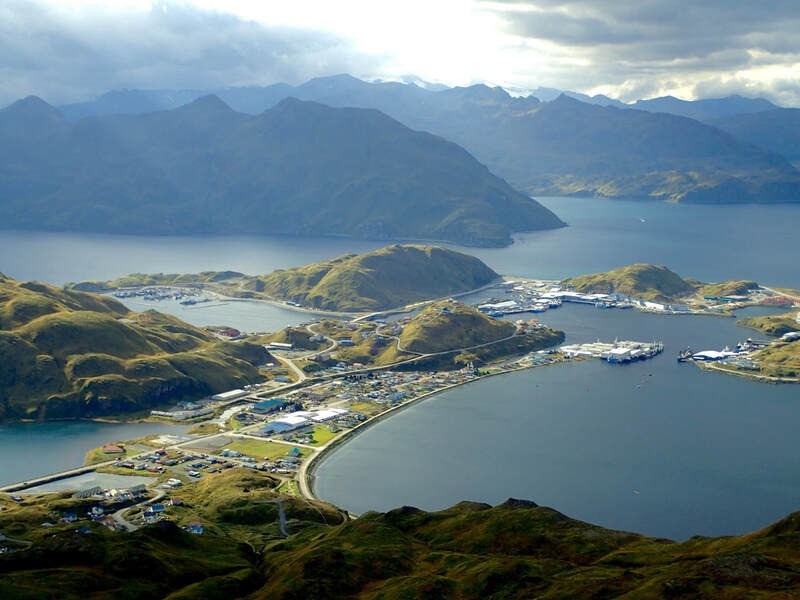 They serve many communities including Unalaska and Nikolski. Bottom photo: View from Mt Newhall. Photo courtesy of Rick Knecht.